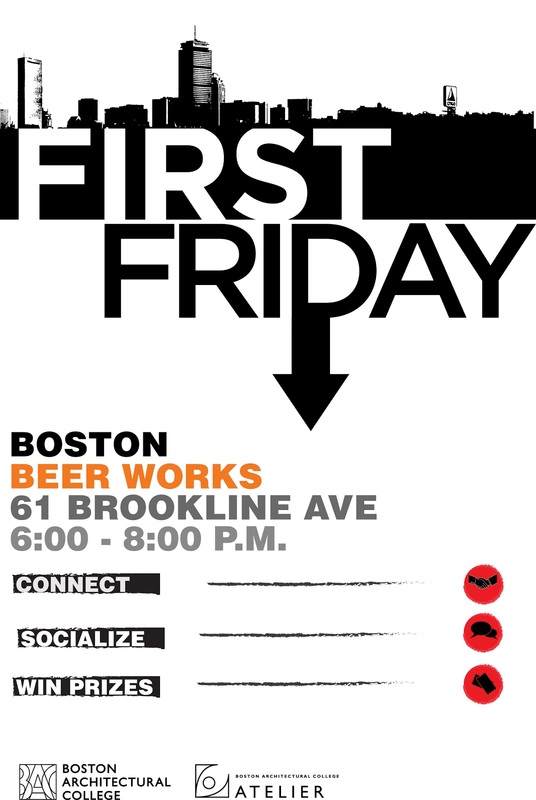 Join BAC students Friday, February 6th for First Friday at Boston Beer Works. See friends, meet new students, enjoy food and beverages after a hard earned week of work and studies. First Friday offers students a time to relax with their colleagues, make new connections, and enjoy free appetizers! This event is co-hosted by Atelier, AIAS, and the Green Team.